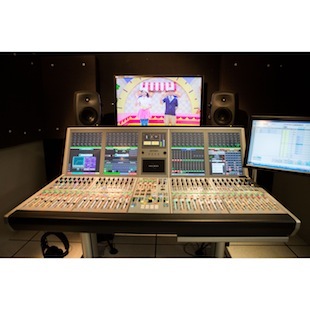 GOOD TV, which claims to be the world’s first Mandarin-language Christian television station, has installed two Calrec Audio Artemis Light 32-fader consoles in its new broadcasting facility in New Taipei City, Taiwan. Marking Calrec’s first installation in Taiwan, the two consoles enable high-quality and reliable audio mixing and production for GOOD TV’s full schedule of in-house programming. The Artemis Light consoles are part of a turnkey audio/video solution installed by Hi-Pro Technology, Calrec’s Taiwan distributor. "Calrec consoles are well-known for their ergonomic control surface and beautiful sound. After evaluating many audio consoles, we knew Artemis Light would provide the best option for our new studios and equipment upgrade to HDTV," said Alan Hsiao, sound specialist, GOOD TV. 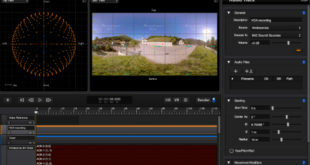 "Artemis Light gives us tremendous efficiency when managing HD/3D 5.1 surround sound recording, with the scalability we need to grow our operation into the future. The equaliser modules enable very sensitive and extremely accurate adjustments, and Artemis offers plenty of audio headroom to diminish overdrives. Overall, Artemis Light has provided the carefree operation and reliability we need in a fast-paced production environment." Supporting GOOD TV’s migration to HDTV and the 2012 completion of Taiwan’s digital conversion, the new production facility consists of a larger ‘A’ studio, used primarily for music programs, and a ‘B’ studio for interviews and talk shows. Installed in each studio, the Artemis Light consoles receive the main audio signal and transmit it to a secondary video control room, where it is integrated with the video and passed to the video server in the main control room for broadcast and archiving. Both consoles are equipped with RTW’s TM7 TouchMonitor surround sound analyser and loudness monitor, which enables engineers to make adjustments at the time of production rather than further down the transmission path or in post-production. Driven by Calrec’s Bluefin2 signal-processing engine, the Artemis Light consoles also feature Calrec’s Automixer, an automatic mixing function that attenuates all output to maintain consistent program levels. Automixer is especially useful for equalising audio for GOOD TV’s talk shows, which sometimes include large numbers of guests and multiple open microphones that generate crosstalk and ambient sound.